Eurockot Launch Services performs launches into high-inclination low Earth orbits for commercial and institutional operators of Earth observation and communication satellites using the 2-ton ROCKOT launcher. Customers comprise NASA/DLR, Motorola, CSA, ESA, KARI, USEF and others. Exelis Visual Information Solutions offers complete software solutions and integrated custom services to help professionals make important discoveries through the use of geospatial imagery and data. The company’s ENVI platform combines the latest spectral image processing and image analysis technology with a modern, user-friendly interface that allows you to easily extract meaningful information from geospatial imagery and data. Regardless of the data type you use, ENVI has the latest image and data analysis tools to help you extract meaningful information from imagery. 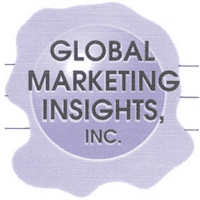 Since 1997, Global Marketing Insights (GMI), a woman-owned firm, has provided Geospatial Business Intelligence ExpertsTM for a wide range of aerospace, geospatial and remote sensing strategic business planning, sales and marketing implementation services and highly customized market research services. These services include developing targeted product/service market studies and competitive market research for government agencies and private-sector firms whose goal is to increase their market share. As authors of the USGS and NOAA 2005-2020 International Remote Sensing Studies for Asia, Africa, North America and Europe (with South America in progress), GMI possesses the world’s largest database of remote sensing research (available in online interactive maps) and social and cultural trend information by country, providing GMI with expertise in technology transfers among all market sectors. Vencore has over 40 years of proven experience providing information solutions, engineering and analysis to the U.S. Intelligence Community, Department of Defense and Federal/Civilian Agencies. We support our customers’ missions by helping them solve their complex challenges while maintaining the highest level of integrity and accountability.